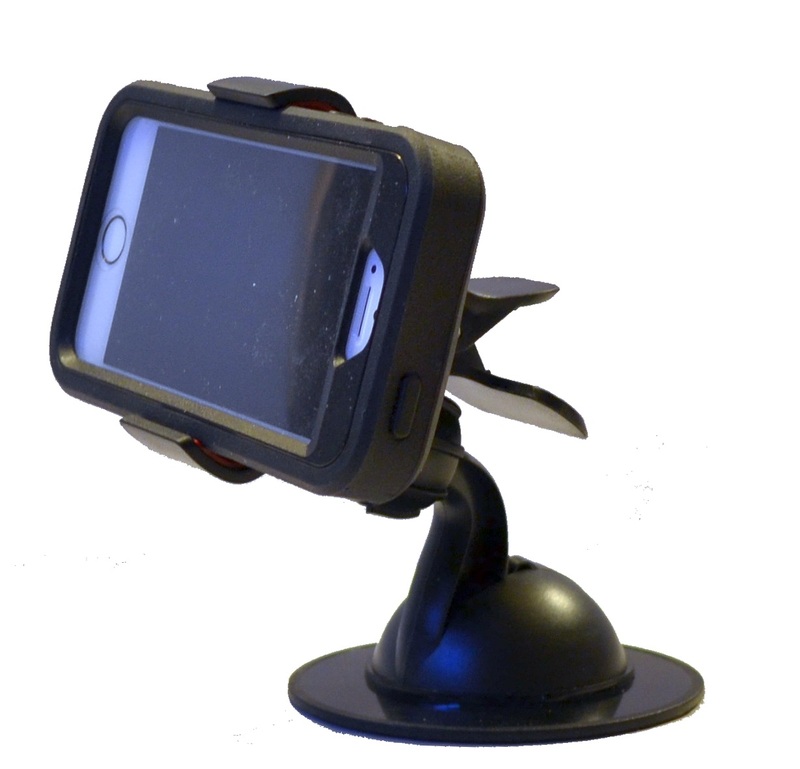 Today, we’re talking about mounts for the iPhone 5c and iPhone 5s. The form factors for the phones are roughly the same as the iPhone 5. In fact, the iPhone 5s dimensions are exactly the same as the iPhone 5 where the iPhone 5c is a little larger. While this article is not going to focus on technical factors, it’s worth the extra $100 to upgrade to the Apple iPhone 5s for functionality and performance improvements. The Apple iPhone 5s will also hold its value better than the 5c. A variety of mounts that are expandable will fit all three varieties of the iPhone 5. Your personal requirements regarding location, ease of installation/removal and if your iPhone has a case or skin will determine the mount purchased. There are several companies which manufacture custom cradles for all three iPhone varieties but don’t forget that any custom mount that fits the iPhone 5c will not fit the 5 or 5s and if you have a case or skin, none of the custom mounts will fit. I have always favored universal expandable cradles for two reasons: I always use an Otterbox plus when you upgrade or replace your phone, there is no need to purchase a new mount (since the expandable mount is universal, it will likely fit your next phone). As mentioned, we like the universal cradles the most. There are many manufacturers that offer some excellent and solid solutions with universal cradles. We’ll outline a few of them here. It’s by no means a complete list as we are focusing on manufacturers that we have personal experience with. Arkon, based in California, offers three inexpensive lines that fit all iPhone 5 models with or with a case. The Mobile-Grip 2 cradles were recently introduced. Mobile-Grip 2 features an expandable cradle that grips your phone from the sides. The cradle opens to 3.6 inches wide so plenty large enough even for big thick cases. Arkon also offers an older line called Slim-Grip Ultra which opens to over 7 inches which means these can also be used for small tablets up to the size of an iPad Mini. The Slim-Grip Ultra will hold your phone from the top and bottom and features support legs that can move from side to side. Lastly, the Megagrip cradle opens to 3.4 inches. The Megagrip has been around for many years and is extremely reliable. The Megagrip features one hand operation and opens with the push of a button. Arkon does not offer a custom cradle for any of the iPhone 5 models. RAM Mount, out of Washington, features two custom cradles. The RAM Cradle for Apple iPhone 5c is made to fit the iPhone 5c and the RAM Cradle for Apple iPhone 5 and 5s will fit the iPhone 5 and Apple iPhone 5s. Since it’s a custom cradle, these will not fit your device with a case or skin. You can couple these with one of RAM’s mounting pedestals for the windshield, cup holder, dash or motorcycle. RAM also makes their ever popular RAM X-Grip Universal Smartphone Holder. These universal cradles will open to 3.25 inches and will grip your phone from the sides. Large enough for phones with or without a case or skin.